Secret-Base and Super7 are proud to present: Steve Caballero’s Cab Dragon! 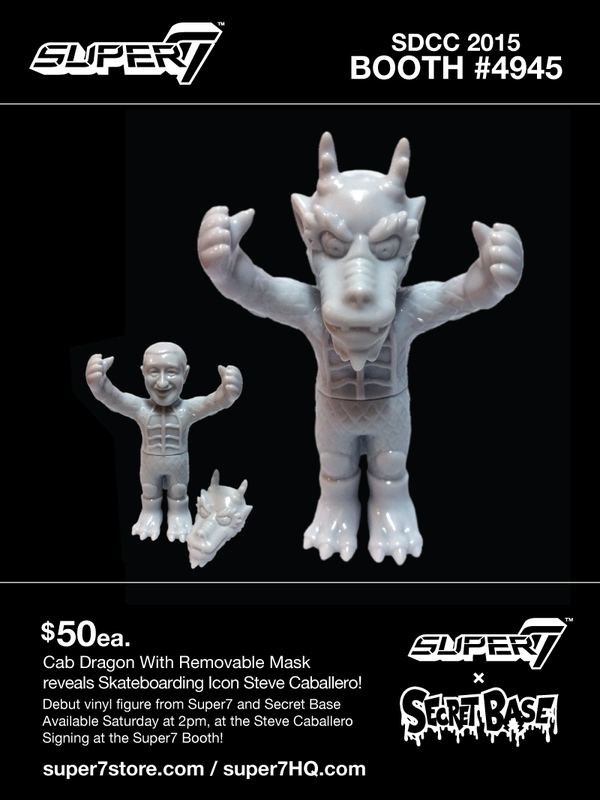 The Legendary Skater will soon be immortalized as a 4″ soft vinyl figure with removable Dragon mask to reveal, none other than Steve Cabalero. There will be a release/signing event taking place at the Super7 Booth #4945 on Saturday, July 11th at 2PM. The debut release will feature an unpainted grey vinyl, which will retail $50 each.